Edako began his music career as in the university with Glory and Virtue Mass Choir. A graduate of Accounting, the rapper believes that hip hop will see a new dimension as he uses his talent to positively influence his generation. Edako aspires to touch all nations of the world in his music campaign. Edako has dedicated himself to Jesus and to revealing Him to the world. His debut album is titled ‘Evermore’ and has collaborations with Toy Records and Stringz Records all based in Lagos, Nigeria. 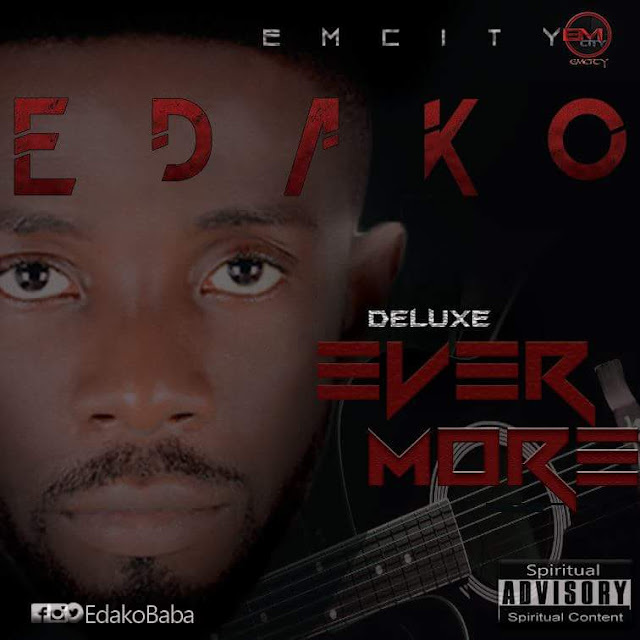 Edako releases his hit single “Evermore’ and it is undoubtedly one of the best rap songs of all time, produced by Emcity and Stringz Records. Edako has undoubtedly has been tipped as the next best thing in the urban music genre. “I intend going mainstream with my music, reaching out to as many young folks as I can with the love of Christ and staying original in the process”. His album, Evermore Deluxe is currently making waves in Nigerian and Sierra-Leone music industries.